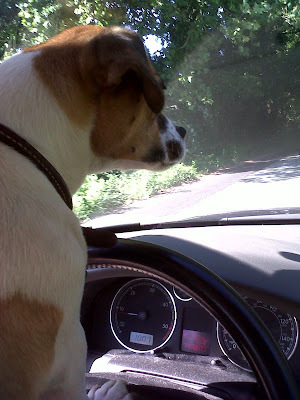 Tiny is my Jack Russell Terrier - typical of her breed, she is very determined and if she sets her mind to it, there's nothing that she cannot do. Tiny loves to take the Fahrfenugen out for a spin - S.L. It's obvious we don't speak the same language . . .
Spike TV’s series Deadliest Warrior is presumably aimed at a demographic that’s fairly young and mostly male. 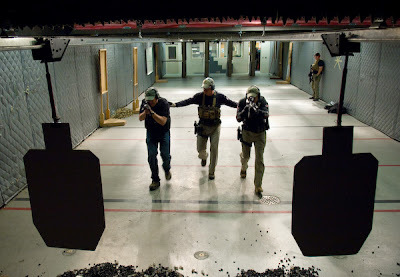 The show investigates such questions as who would win in a fight to the death between a Spartan and a Ninja, or Navy SEALs versus Israeli commandos—and in the relevant weapons testing splatters some pig carcasses or head-shaped gelatin models. But that’s not to say it’s a frivolous show. It’s actually quite thought-provoking, offering insights into military history, strategy and philosophy, while giving a sense of the power (and limits) of scientific empirical testing and of computer simulations. That Deadliest Warrior is fun and sometimes tasteless should not distract from its intellectually stimulating content. Each episode involves a hypothetical showdown between two types of combatants (or occasionally, specific individuals) drawn from past or present. Thus, during the first two seasons there have been episodes about, to name a few, Ming Warrior vs. Musketeer, Vlad the Impaler vs. Sun Tzu, Comanche vs. Mongol, and Jesse James vs. Al Capone (actually it was their respective gangs shooting it out). I put my money on Sun Tzu over Vlad any day of the week - S.L. Each episode ends with a dramatic recreation, using actors but based on the simulations. At the end, one side will be dead or approaching death (mercy and negotiation have not entered into any of the episodes I’ve seen), and the winner typically shouts exultantly with fist raised in triumph. Does all this glorify war? The sensibilities of antiwar activists on left and paleo-right would no doubt be offended by this show, if they could bring themselves to watch it (and the military recruitment ads that sometimes run in the commercial breaks would reassure them not at all). However, I think the program promotes a healthy soberness about war. For one thing, seeing modern or ancient weapons wreak havoc on plausible stand-ins for the human body helps convey the realization that war is a deadly serious, intensely horrible business and not some bloodless video game. Moreover, the arts and sciences of war, as gruesome as they may be, are part of the necessary knowledge of civilization. 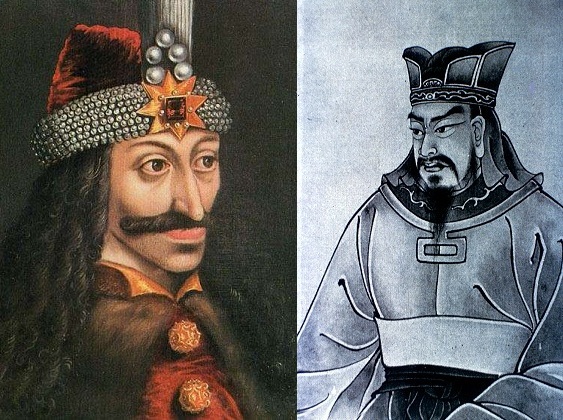 A society too squeamish to look at the recreated violence of, say, Attila the Hun will have trouble protecting itself against modern-day Attilas. 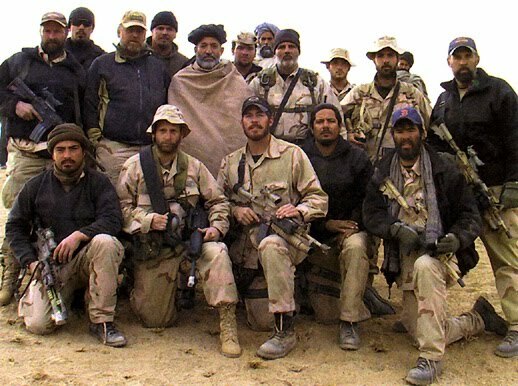 And, some of the combatants shown on the program are America’s enemies today, such as the Taliban (shown in a matchup with the IRA, an episode I didn’t see but which I’m told sparked some ridicule in the United Kingdom) and Somali pirates (who are depicted fighting the Medellin drug cartel). I suspect some readers are curious about the outcomes of some of the contrived conflicts mentioned above. I will not give away any endings, lest I spoil anyone’s TV viewing, but Wikipedia has a list of the first two seasons’ episodes, complete with tabular results. “Deadliest Warrior” has been evolving. Whereas the first season focused on one-on-one combat between two warriors, the second season has branched out into conflicts between groups of say five each (with a running tally onscreen helpfully showing how many fighters are alive on each side). 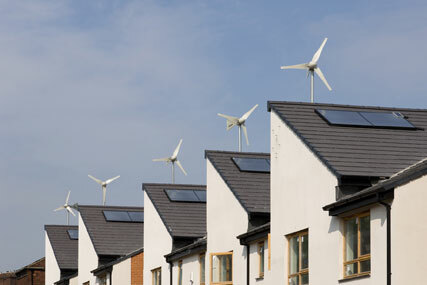 This makes sense, in that the cohesion and efficiency of a unit is often a crucial factor. Perhaps future seasons will branch out further from individual and small-unit warfare to display entire armies clashing. In any event, there is no shortage of material for future episodes of “Deadliest Warrior,” and one may as well make peace with that somber but undeniable fact about our world. A little caveat here: I met Ken and his lovely wife over the weekend (and their amazing son who is 2 and is a total can of worms!) and in the course of the conversation we got to the whole genre of military-themed television shows that seem to adopt heavily from computer game simulations. My comments were the teasers that stretch a ten minute presentation out over twenty-five minutes via endless commercials make watching these shows very tedious work; that serving in the military will ruin war movies for you, that Saving Private Ryan was a great movie until they started having conversations at the top of their lungs while on patrol, and that Full Metal Jacket was the best half-movie ever made. Well here you go Ken - you can add STORMBRINGER to your laurels; right up there with Scientific American and the Wall Street Journal! Cheers, S.L. The professional soldiers of the world and students of irregular warfare have just enjoyed a rare opportunity: ringside seats of a successful guerrilla insurgency, fully documented via the modern electronic media phenomenon of the Information Era. I say 'students of irregular warfare' and not 'experts' because I was taught that there are no experts in anything, only serious students. This when an insurgency is most vulnerable. Insurgent leaders are focused primarily on two things: organization and the population. Subversive activities such as establishing funding and external support mechanisms; infiltrating government and other key organizations; psychologically preparing the population; and arranging resistance struggles (such as boycotts and strikes) take place. 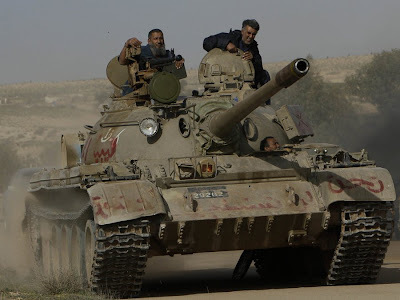 Outside of government intelligence organizations, it is unknown how extensive these activities were within Libya prior to the outbreak of street riots in the "Arab Spring" of 2011. Likewise, we are not aware of any activities by resistance cadre or political entrepreneurs such as recruiting, training, group structuring, and unit development. The confusion that appeared to exist within NATO throughout the entire continuum of this conflict suggests that no "shadow government" existed prior to the Arab Spring. Instead what we witnessed appears to be an insurgency that swiftly and successfully progressed to Phase II; Guerrilla Warfare, and almost immediately thereafter to Phase III; War of Movement. This phase is characterized by offensive operations intended to grind the Regime’s capabilities to a halt; these are the most obvious indicator of an insurgency’s progress. Successful guerrilla operations force the Regime to choose between defending what it knows - its infrastructure, symbols, associations, and representatives - and attacking what it doesn’t know - the endlessly mobile and seemingly ubiquitous enemy that prefers to vanish rather than stand and fight. These operations overtly challenge the Regime’s capabilities. On the military side, limited offensive actions engage resources, symbols, and representatives of the regime. Guerrilla leaders decide to either “fight” or “flee” based upon their capability of either holding ground or decisive engagement. Extensive reconnaissance and preparation in the planning phase and speed, surprise, and innovation typify their rapid and short attacks. 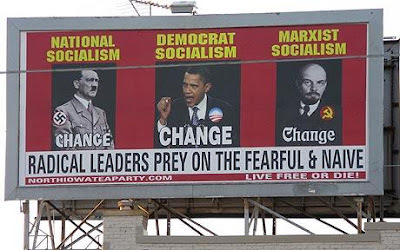 At the same time, the insurgency’s political machine is also functioning: propaganda and economic activities occur as the shadow government agitates the political, social, and economic grievances of the population. Again, we have no outside indications that any kind formal resistance to the Ghadafi regime existed prior to the street demonstrations of Arab Spring. My experience suggests that nothing occurs by coincidence. 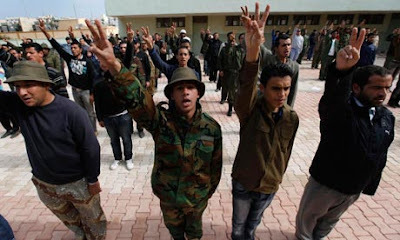 Simply because we in the West were not aware of a Libyan shadow government does not mean that one did not exist - it is quite possible that representatives of an embryonic insurgency movement sponsored by al Qaeda in the Maghreb (a.k.a. 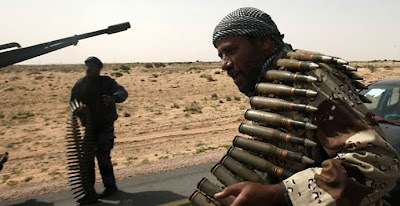 al Qaeda in North Africa) trained and prepared for for years to make their move, and the opportunity came in the historic regional uprisings of Arab Spring. This occurs when the insurgency has developed an effective military organization capable of conventional warfare and (doctrinally) a Resistance organization that has an effective shadow government capable of administering to the population’s needs. Because of the mind-boggling speed which the events in Libya proceeded from Phase I to Phase III - due in large part to the NATO-imposed No Fly Zone - there is little evidence that any kind of shadow government that may or may not have existed was capable of any kind of administration whatsoever. Because of the NATO NFZ, the Ghadafi regime rapidly exhausted it's military resources fighting the insurgency. In the wake of the Gadafi regime's inevitable collapse, the immediate concern is the construction of a new regime. If the Resistance has managed its strategy well, then moving directly to reconstruction is now possible. 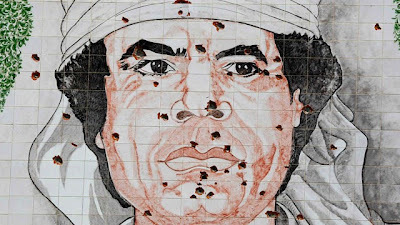 There is, however, little evidence of a well-organized insurgency leadership capable of managing itself even, let alone reconstruction and the establishment of a new Libyan government. A brief window of opportunity exists for the Western nations to step in and preclude the Muslim Brotherhood and/or al Qaeda from establishing a fundamentalist Islamic Republic a la Iran, or Afghanistan under the Taliban. On the surface, the Libyan experience appears to have happened spontaneously, but I personally suspect the insurgency has an outside sponsor (other than NATO), namely the Muslim Brotherhood and/or al Qaeda. According to the doctrinal model, the first phase involves cadres (of the sponsoring power) conducting research of the target area; population, environment, and the regime. Propaganda, psychological operations, and civil-military operations are also among preparation activities. In the second phase, cadres initiate contact; they meet with resistance leaders, assess resistance potential, and determine capabilities. In the third phase, political entrepreneurs infiltrate and position themselves to develop internal command and control (C2). In the fourth phase, the embedded political entrepreneurs build rapport with the population so that the (outside) cadres may work with the Resistance leadership. C2 of the Resistance takes shape, and local leadership is developed. 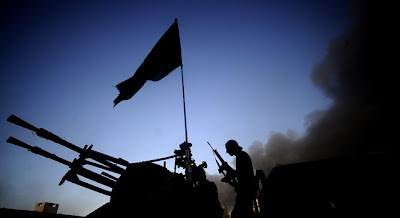 The fifth phase is buildup; the resistance and insurgency expand; this phase marks the insurgency’s shift from the first developmental phase (Latent and Incipient) to the second (Guerrilla Warfare). Offensive guerrilla activities expand in the sixth operational phase of an insurgency. This is where insurgency growth continues into the third developmental phase (War of Movement); large conventional clashes with regime forces are possible. 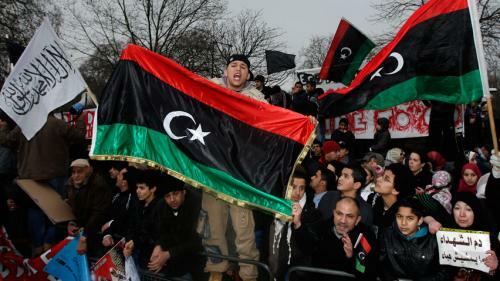 The movement in Libya is rapidly approaching the seventh and final phase: Transition. This is the point where for political and/or strategic reasons the cadres cease their sponsorship of the Resistance. The Resistance may have succeeded in its goals, or it may not be capable of continuing, or the Resistance may be moving in a direction that the sponsoring power does not prefer. It is during the Transition phase that the most sensitive and difficult mission occurs: Demobilization. 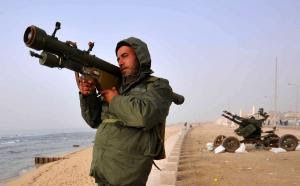 The U.S. State Department has spent $3 million on two international weapons teams to locate and destroy shoulder-fired anti-aircraft systems in rebel-held parts of the country. The teams have demolished nearly 30 Russian SA-7 launchers, such as the one pictured above. It is significant to note that in the history of guerrilla warfare, a successful demobilization has never been achieved. US Army Field Manuals: FM 90-8 Counterguerrilla Operations (1986), FM 100-20 Military Operations in a Low-Intensity Conflict (1990), FM 7-98 Operations in a Low-Intensity Conflict (1992). McCormick, Gordon. “People’s Wars.” Encyclopedia of Conflicts since WWII. New York: M.E. Sharp, Inc. Check it out! That little guy just walked into the enemy camp, acquired a weapon and singlehandedly took out an entire squad ! ! ! Promote that man to Sergeant Major of the Guerrilla Forces and give him a medal ! ! ! Someday I might tell you guys how I got that codename . . . it was another lifetime ago in Okinawa, weathering out one of those heroic typhoons they have over there with one of the Navy birds who worked the elephant cage up in Hanza . . . They came from all over, to serve their country in Western Civilization's great struggle against barbarism - the Twenty-First Century's Global War on Terror. They were young, they were just like you and me; maybe you knew one of them from school, or back home on the block . . . or someone like them, who also serves. They were honored yesterday in Norfolk, and I hope that this video receives maximum distribution, because it is important for Americans and our Allies to see this, to see the faces of our anonymous heroes who otherwise serve in secrecy . . . day in, day out . . . year in, year out . . . from now until some distant far off future time when this war finally ends . . .
That dog is expressing pure emotion as only a dog can - with it's entire body - prostrate, before the casket of his master. If this doesn't tug at your heartstrings and bring tears to your eyes, then you are simply not human. YEAR OF THE 1911 - BEST KILL WITH A HANDGUN. EVER. The most unusual shot,(and possibly the best ever) made in wartime with a 1911 pistol had to be the one fired by a USAAF B-24 co-pilot named Owen J. Baggett in March, 1943 in the skies over Burma . 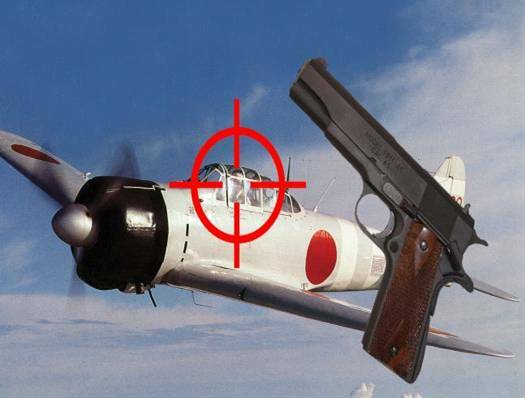 . .
On a mission to destroy a railroad bridge, Baggett’s bomber squadron was intercepted by Japanese Zero fighters and his plane was badly damaged. After holding off the enemy with the top turret .50s while the gunner tried to put out onboard fires, Baggett bailed out with the rest of the crew. He and four others escaped the burning bomber before it exploded. The Zero pilots circled back to strafe the parachuting crewmen, killing two and lightly wounding Baggett, who played dead in his harness, hoping the Japanese would leave him alone. Though playing dead, Baggett still drew his .45 and hid it alongside his leg . . .just in case. A Zero approached within a few feet of Baggett at near stall speeds. The pilot opened the canopy for a better look at his victim. Baggett raised his pistol and fired four shots into the cockpit. The Zero spun out of sight. Although Baggett could never believe he had shot down a fighter plane with his pistol, at least one credible report said the plane was found crashed, the pilot thrown clear of the wreckage with a single bullet in his head. If Baggett really did shoot down a fighter with his 1911, it has to count as one of the greatest feats ever accomplished with a .45. Baggett survived two years in a Japanese prison camp in Singapore and eventually retired from the Air Force as a colonel. I understand this was verified after the war - S.L. What I'm about to say I already posted as a comment below LONDON OLYMPICS where things threatened to get out of hand for awhile there. I'm happy to report that Team STORMBRINGER self-corrected and got back on track with the program. This is good and this is the way it should be. - S.L. The whole rest of the world may be descending into Heart of Darkness but here at STORMBRINGER we are Gentlemen (and GentleLady) Adventurers, and Chivalry is not dead. Furthermore - despite what is propagated about me by the Trollz that infest the Internet - here at STORMBRINGER we do not discriminate based on race, color, religion or creed. 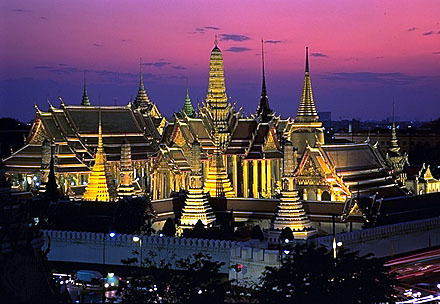 Along those lines, these are my credentials: I am in a bi-racial marriage, I owe my life to a black African Muslim, and I've made pilgrimage and paid my respects at St. Peter's Basilica in the Vatican City, the Al Aqsa Mosque on the Temple Mount and the Grand Synagogue in Jerusalem, and the Temple of the Emerald Buddha in Bangkok. I don't care if you're black, white, yellow, red, tan, green, blue or purple; I don't care if you are Christian, Jew, Muslim, Buddhist, Hindu, Sikh, Zoroastrian, or maybe something I left out, or if you worship trees, dirt, rocks or whatever. Or if you choose to worship nothing - that's your call and I'm not getting sucked into an argument over something that cannot be proven one way or the other. As long as you're a good and decent person who tries to do the right thing and lives by the Golden Rule; that's what's important in Life. What I do care about is Freedom and the basic rights inherent to all Mankind- Freedom of Speech, Freedom of Thought, Freedom of Religion, Freedom from Fear and Tyranny, Freedom to pursue Happiness under the Rule of Law, and the Right to Bear Arms and use them in Self-Defense (which ensures all of the above Freedoms). These rights are known as Natural Law, they cannot be taken away by any man or government, although they can be suppressed and denied. 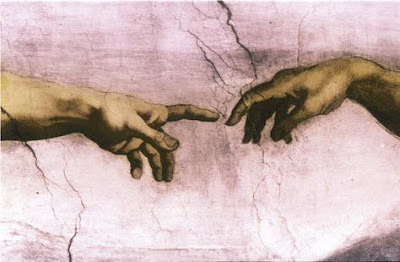 To me, Natural Law means they are bestowed by Deity, because to me all that is of this World is the work of Deity. Some of you may look at this somewhat differently - see the above paragraph. 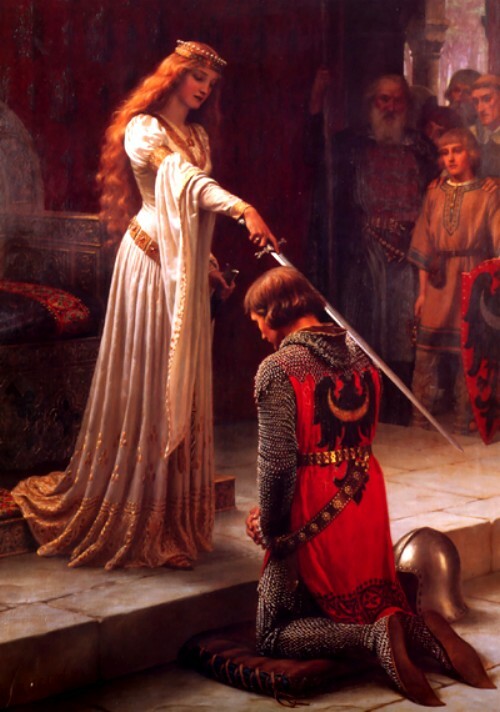 I care about Honor, which is a central theme of this blog; and the Defense and Propagation of our mighty Western Culture and Civilization. That about covers it for now. A woman in a hot air balloon realized she was lost. 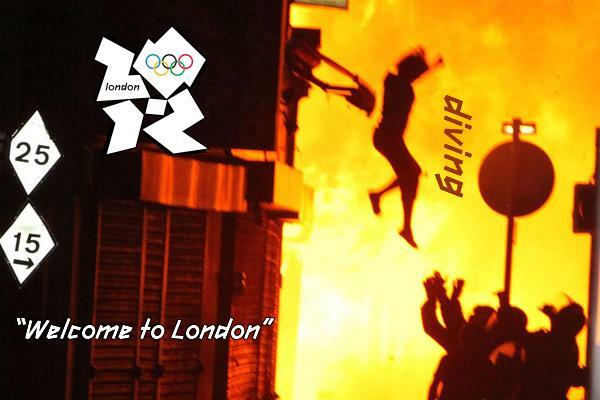 She spotted a man in a boat below and lowered her altitude. 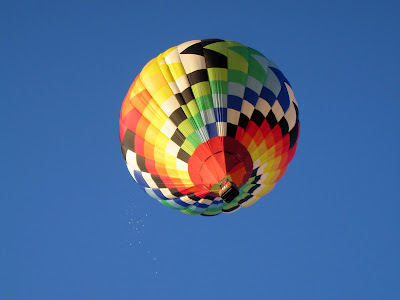 The man consulted his portable GPS and replied, "You're in a hot air balloon, approximately 30 feet above ground elevation of 2,346 feet above sea level. 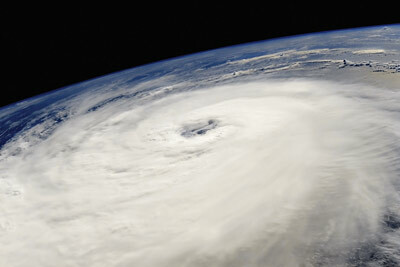 You are at 31 degrees, 14.97 minutes north latitude and 100 degrees, 49.09 minutes west longitude." 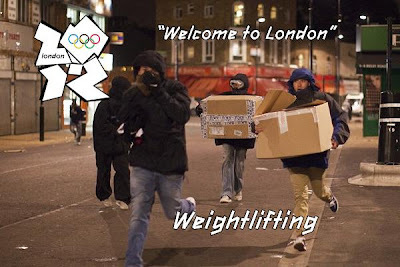 If you want to see what a disarmed society looks like, look no further than England. 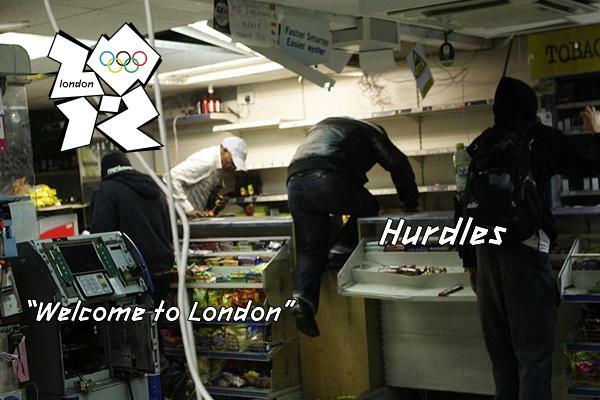 Thousands of angry, drunk, violent thugs running wild and stealing anything they can carry. Shopkeepers and homeowners crippled with fear, unable to defend their loved ones or their property. Innocent citizens forced to watch helplessly while their life’s dreams — everything they worked so hard to build and acquire — are carried out the door, or smashed to pieces, or burned to the ground. Men, women and children forced to strip naked in the streets, while packs of criminals laugh and ridicule them before making off with their clothing. The fact is, when British politicians stripped their citizens of their God-given right to self-defense, they robbed them of their freedom and their dignity. 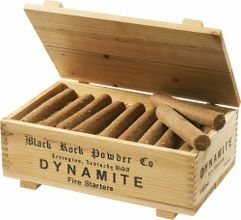 Sales of baseball bats are up over 5,000% on Amazon.co.uk. This isn’t to mark the beginning of little league season. These are desperate homeowners and shopkeepers purchasing the best - and in reality, only - self-defense tool that the British government will allow them to own . . . at least for now. 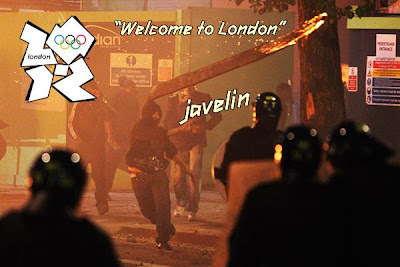 If past is prologue, this flood of baseball bats into London will spark cries from government leaders for mandatory bat registration and a wave of new laws on how, when, and under what circumstances British citizens may carry or swing a bat. After all, this is exactly how British citizens lost their gun rights. First came mandatory gun licensing. 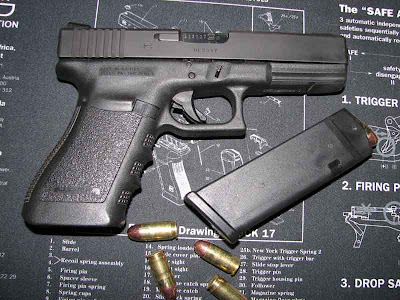 Next came a wave of restrictions on firearms ownership. Then came the outright gun bans. It has been illegal to own a handgun in Britain for nearly 15 years. As a result, Britain’s violent crime rate has soared. In fact, Britain consistently clocks-in with the highest violent crime rate in all of Europe. 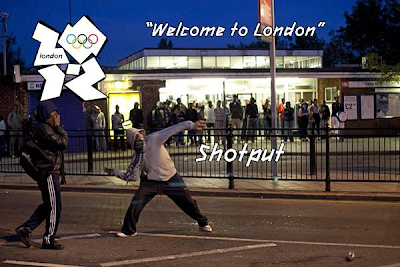 Last week’s riots notwithstanding, you are six times more likely to be mugged in London than in New York. These are the inconvenient statistics that the gun-ban crowd likes to sweep under the rug. As if banning handguns didn’t send a strong enough message to criminals that British citizens are ripe for the picking, the British government went even further in 1999. Recall the tragic story of Tony Martin, the British farmer who was awakened one night to the sound of breaking glass and found two burglars in his home. Martin had been robbed six times before. This time, he went downstairs, retrieved a shotgun, and fired at the intruders. For this, Martin received life in prison for killing one of the burglars, ten years for wounding the other thug, and one additional year for possession of an unregistered shotgun. The wounded burglar served just 18 months of a three-year sentence and was given $5,000 in legal assistance from Britain’s Legal Services Commission so he could sue Martin for violating his civil rights. 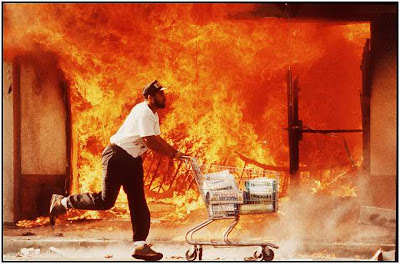 I remember the Rodney King riots in 1992, in L.A., which were basically race riots much like what has taken place over in London. 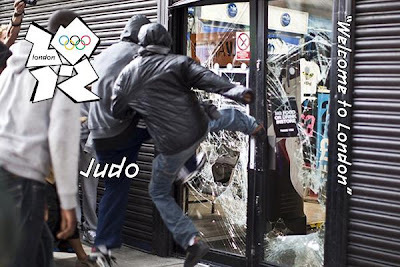 I remember how the urban blacks turned on the businesses in their own neighborhoods and sacked them, much like what we have seen in London, last week. 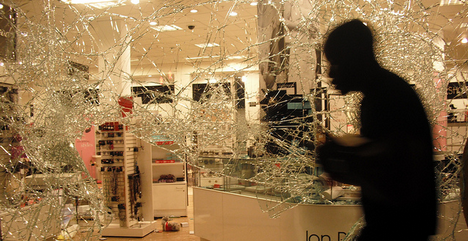 Chic psychologists will tell you that of course a mob has no brain; it is sheer violence and primal id, unleashed. What really happens is the poor classes sense a source of entertainment, and an opportunity to loot, get free stuff - the looters in L.A. were crying out, "It's Christmastime! It's Christmastime!" I also remember how the businesses of the local Korean shopkeepers became a prime target of choice - because the urban blacks, in a twisted logic - view the Koreans as keeping them down via their success. When I first came to America I did what work was available, and the urban blacks I worked with told me themselves: "The Orientals are willing to do any job no matter how hard or how low and for half the price. They live ten or twenty to a two room apartment, packed in their like sardines and save money that way, start buying up all the beat up run-down real estate. Then the Orientals become the landlords in the poor areas, and the Orientals run the cash registers." I can hear it now - I'm going to be called a racist for daring to say the above. Whatever - the very word 'racism' has been made meaningless by the people who throw it out at the drop of a hat. I call it the way I see it, and being in a bi-racial marriage makes it even more meaningless when thrown at me. 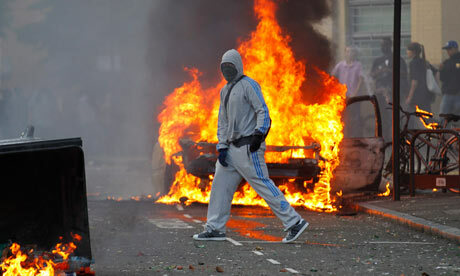 What took place in the U.K. was in fact a series of race riots, first in London and then it spread to Birmingham and Manchester; where mostly African and West Indian blacks targeted the whites but more especially the East Indian shopkeepers, who are fastidious merchants and restauranteers. This phenomenon is a kind of racism where one minority targets another minority. 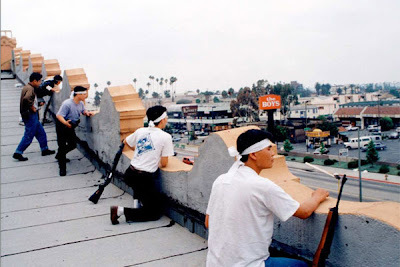 My point is that in when these kind of race riots occurred in L.A., the only shops that survived the savage onslaught were in fact the very establishments that were targeted as primo pickings: the Korean businesses, because of the sentiments expressed above. And the reason why they survived is because the Koreans are very organized; every Korean community has a Korean Association, and almost every Korean businessman has served in the ROK military, and as any American who has pulled duty in the Republic of Korea will tell you, ROK soldiers are the toughest on Earth and THEY DO NOT F*CK AROUND. The Korean merchants of East L.A. armed themselves with their legally-acquired AR-15s, Mini-14s and Remington 870s, and manned their grocery stores and laundromats. When the looters came to Korea Town, they were met by volleys of rifle and shotgun fire. I toured the riot-hit neighborhoods of East L.A. and downtown Hollywood not long after the riots and saw for myself the damage the inhabitants had brought upon themselves. What stood out was the Korean businesses. There were some broken windows and some incidental fire damage from adjacent structures, but it was remarkable to see these islands of civilization amongst the rubble and the burnt out storefronts. Moral of the story: arm yourself with as many guns as you can get your hands on and keep them as close to yourself as possible. The right to self-defense is derived from Deity, it is natural law, and the way it is expressed in the Constitution reads: " . . . shall not be infringed . . ."
What took place in the U.K. last week is vivid example of how the Road to Hell is paved with good intentions. Be very distrustful of any politician who expresses any kind of sentiment toward the restriction or registration of gun ownership because now we see where it leads. Not a lot of fiction has this level of cyber intell . . . S.L. Super hacker Yvonne Tran, part of a secret government agency called CyberCom, is brought in to investigate a malicious network attack that caused the deaths of eight innocent people. She and her team follow the trail to Hong Kong and Afghanistan, and they must pinpoint the source before the next attack, which has the potential to kill hundreds of US citizens . . .
A malicious network attack on a traffic management system in California causes the deaths of eight innocent people. Yvonne Tran, a former black hat computer hacker and now part of a secret government agency called CyberCom, is called in to investigate. Her handler and former lover, Rohan Stokes, and executives at Network Systems, the company that made the computer server, have no idea how the system could have been commandeered so completely, or how many other critical systems have been infiltrated. Once, Yvonne had what seemed to be the perfect life—the daughter of a Russian diplomat and a woman from a prominent Vietnamese family, she was raised in privilege, and was sent to all the best schools. But abuse at the hands of her Russian kin drove her from the future her parents had charted for her. She turned inwards, to the world of computers and hacking. She made a spectacular living breaking into the online systems of companies and governments, and turned her exploits into luxury . 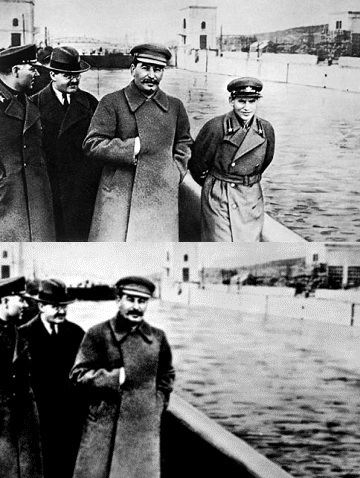 . .
A Soviet "nonperson" vanishes: commissar Nikolai Yezhov retouched after falling from favor and being executed in 1940. The falsification of history via the doctoring of documents and photographs didn't begin in our modern computer era. In Stalinist Russia, it was commonplace for Soviet history to be rewritten with individuals who had somehow fallen afoul of Stalin removed from official photographs. In one noteworthy sequence, a photograph of Stalin with three revolutionary leaders is airbrushed and cropped and clipped until, one by one, those leaders disappear and only Stalin is left - conveying the message that Stalin carried the Russian Revolution by himself. Another photograph from the 1920s depicts a meeting of dozens of trade-union and Bolshevik leaders; by the late 1930s, all but a handful of them had been murdered at Stalin's orders. For Joseph Stalin, photo retouching was a technique for controlling public perception and memory. People who vanished in real life - whether banished to the farthest reaches of the Soviet Union or eliminated by the secret police - vanished as well from photos, and even paintings. In many cases they were airbrushed out completely, in others their faces were clumsily blacked out with ink. The Obama White House is gearing up for a Supreme Court case in which it will defend its refusal to list “Jerusalem, Israel” on the passports of Americans born in the Israeli capital. As part of its preparations the administration recently scrubbed all the captions on a White House photo gallery of Vice President Biden in the city, changing “Jerusalem, Israel” to “Jerusalem.” The optics of methodically erasing the word “Israel” from the White House webpage caused a predictable uproar. The point of posting these two photos (above and below) is to show that, although the State Department refuses to say that Jerusalem is in Israel, even the White House website acknowledges this elementary truth. But not any more; within two hours of posting, the White House has apparently gone through its website, cleansing any reference to Jerusalem as being in Israel. 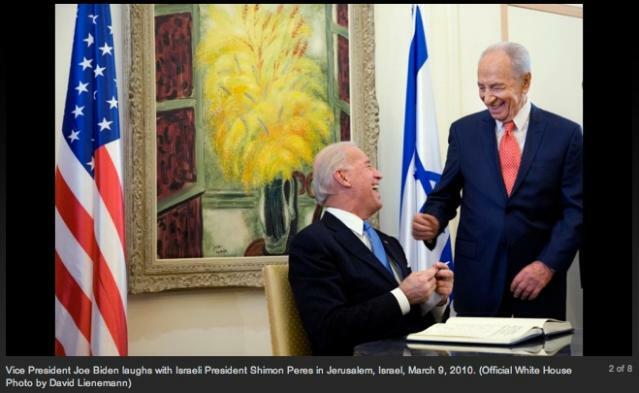 Click on the photos to get a clear read on the respective captions.
. . . then, when the Washington Jewish Week’s Adam Kredo published an article claiming that the Bush administration had enforced an identical policy. Kredo cited a “search of the Bush White House’s archives” and photos of Laura Bush touring the Western Wall to conclude that the Bush White House webpage “never explicitly labeled [Jerusalem] as part of Israel.” . . . Obama’s defenders latched on to his article . . .
Elliot Abrams responded in a quote he gave to Jennifer Rubin, forcefully insisting that Kredo was “just wrong” and that the Bush White House “did not have a hard and fast rule that prohibited referring to Jerusalem” as part of Israel in documents and captions. Basic Google searches are enough to show that Abrams is right and Obama’s defenders are flat wrong. It gets worse for Obama’s defenders, though, than merely being demonstrably wrong. It turns out that while they were insisting that the Bush administration consistently refused to reference “Jerusalem, Israel,” the Obama State Department was busy scrubbing documents in which Bush administration referenced “Jerusalem, Israel.” Straight down the memory hole. That’s kind of amazing when you pause and think about it, no? The “Jerusalem, Israel” captions and statements from the Bush-era White House are digitally archived and frozen, and so beyond the administration’s reach. But Bush-era State Department reports are stored on the Obama State Department’s servers. Two old documents in particular – the State Department’s FY 2002 and FY 2003 Performance and Accountability Reports – come up quickly in searches. When they were originally written they both had appendices identifying the location of the Jerusalem consulate as “Jerusalem, Israel.” Some time in the last two weeks that location was changed to “Jerusalem.” Whoever made the changes even went back and scrubbed the old “hard copy” PDFs. You can do the compare and contrast yourself. Click on these links for scrubbed versions of FY 2002 HTML, FY 2003 HTML, FY 2002 PDF, FY 2003 PDF, and on these links for cached original versions of FY 2002 HTML, FY 2003 HTML, FY 2002 PDF, FY 2003 PDF. MSG Jefferson D. Davis, SFC Daniel H. Petithory and SSG Brian C. Prosser of 5th Special Forces Group were Killed In Action on December 5, 2001 in the B-52 J-DAM fratricide incident. 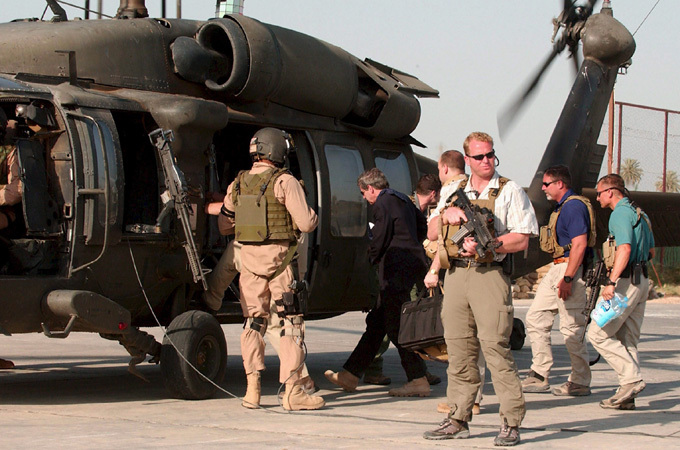 Codenamed "Texas 12" (Texas One-Two), the detachment's goal was to set up a new government in Afghanistan. The group was made up of 12 Americans under command of Captain Jason Amerine. They worked side-by-side with the anti-Taliban militia led by Hamid Karzai, who planned to take the Islamic spiritual center of Kandahar. The key to the province was the town of Tarin Kowt. The civilians of the town overthrew the Taliban governor, so Karzai and Amerince planned to defend it. The 12 Americans of Operational Detachment Alpha 574 and 35 Afghans defended Tarin Kowt from 100 Taliban trucks carrying 1,000 insurgents. The town was successfully defended by the brave troops of Alpha 574 as well as the Afghan freedom-fighters, who drove back the Taliban. Fighting again along the Arghandab River, Alpha 574 defeated the Talibans at Shawali Kowt and Sayyd Alma Kalay. These victories were the key to the Kandahar Campaign, ending when Kandahar fell to US Marines. When Kandahar fell, Karzai became the interim president of Afghanistan, so Alpha 574's mission was complete. I found it very interesting, and there are a whole series of them to be seen so get over to Blackfive and enjoy! Take care and have a nice weekend - more to follow so y'all come back now . . .
A Harley biker is riding by the zoo in Washington, DC when he sees a little girl leaning into the lion's cage. Suddenly, the lion grabs her by the cuff of her jacket and tries to pull her inside to slaughter her, under the eyes of her screaming parents. 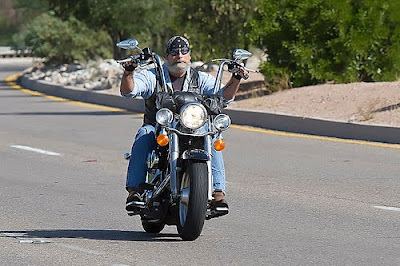 The biker jumps off his Harley, runs to the cage and hits the lion square on the nose with a powerful punch. Whimpering from the pain the lion jumps back letting go of the girl, and the biker brings her to her terrified parents, who thank him endlessly. A reporter has watched the whole event. The reporter addressing the Harley rider says, "Sir, this was the most gallant and brave thing I've seen a man do in my whole life." The Harley rider replies, "Why, it was nothing, really, the lion was behind bars. I just saw this little kid in danger and acted as I felt right." The reporter says, "Well, I'll make sure this won't go unnoticed. I'm a journalist, you know, and tomorrow's paper will have this story on the front page . . . So, what do you do for a living and what political affiliation do you have?" The reporter finishes up his notes and leaves. A graduate student at George Mason University approached me about her research study regarding PMCs and PSC's; specifically, the views that contractors have about their nationalities and identities. 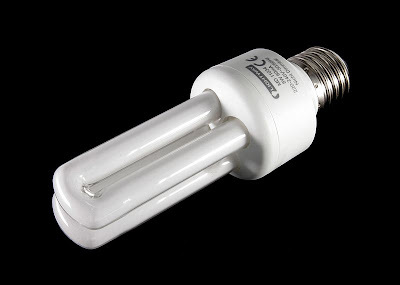 She would like to contact PMC/PSC contractors. Because public perception of independent contractors is so one-sided, I agreed to help Jessica. I see this as a means of getting our story out there. Jessica herself stated that she found academic resources offered little or nothing on our profession. I met with Jessica in DC, and I found her to be very professional, well-informed, and open to our point of view. All interviews will be kept confidential and no personal information or identifiable information will be used in the research findings. I have the contact info for Jessica - if you are willing to participate in an interview, let me know. The Florida State legislature has taken steps towards securing Second Amendment rights by eliminating restrictions on firearms. The measures, which will be enacted on October 1, will impose penalties on public officials who pass or enforce gun regulations at the state level. Violators face a $5,000 personal fine and may risk being removed from office by the governor. Florida already had a law that made it illegal to pass gun regulations beyond those imposed through state statutes since 1987. The Blaze explains the necessity for this new law. Guns in the hands of law-abiding citizens are proven to be the single most effective crime prevention measure known to civilization, and state legislatures have recognized this fact more and more since the late 1980's, when concealed carry laws have become more mainstream across the nation. Liberals have tried to counter these laws at local levels in my state of North Carolina, similar to the situation in this story. Fortunately the results were the same; local jurisdictions cannot introduce local legislation that restricts or hobbles state laws. Personally, I have carried a firearm on and off duty all over this country from coast to coast for almost thirty years now and incredibly enough I have yet to cause a crime to occur. - S.L. 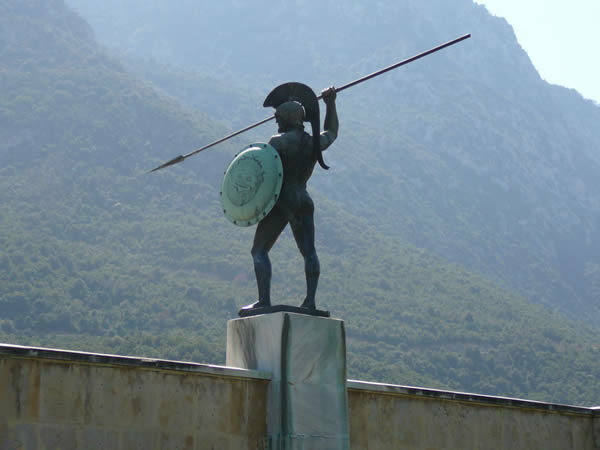 ON THIS DAY in 480	BC, Leonidas reaches Thermopylae with 300 Spartans and 700 Allies. 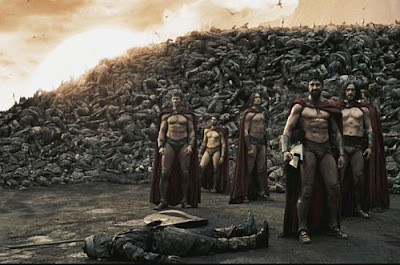 King Leonidas and the Spartans before the famous "Wall of Bodies" on the third day of their heroic stand. Thermopylae is one of the most famous battles of the ancient world, of course; it took place in northern Greece during the Persian Wars. The Greek forces, led by King Leonidas of Sparta, managed to hold out for three days against the forces of Persian king Xerxes I, said to have numbered "one million" but probably closer to 200,000. Still, the feat of the Spartans was remarkable. Eventually Leonidas released the other Greek forces and a small Spartan contingent remained behind to resist the advance. The Greeks were only defeated after a traitor betrayed a route by which the Persians were able to outflank them. Leonidas and the remaining members of his original 300 Spartans were killed to the last man. Leonidas' plan was remarkable for taking advantage of the terrain. At the time of the battle, Thermopylae - which literally means "Hot Gates" due to the presence of natural hot springs - was a narrow neck of land between mountains to the west, and the sea to the east. Leonidas was able to place his forces in this narrow "bottleneck" and thereby wear the Persian forces down in a deliberate delaying tactic, allowing the Greek City-State Alliance to better prepare for a more effective defense deeper within the homeland. I visited Thermopylae when I was training with Greek Special Forces in the lead up to the 2004 Olympics, which of course were held in Athens. An earthquake in ancient times, and the continuous deposition of sediment from the river and hot springs has substantially altered the landscape during the past few thousand years. 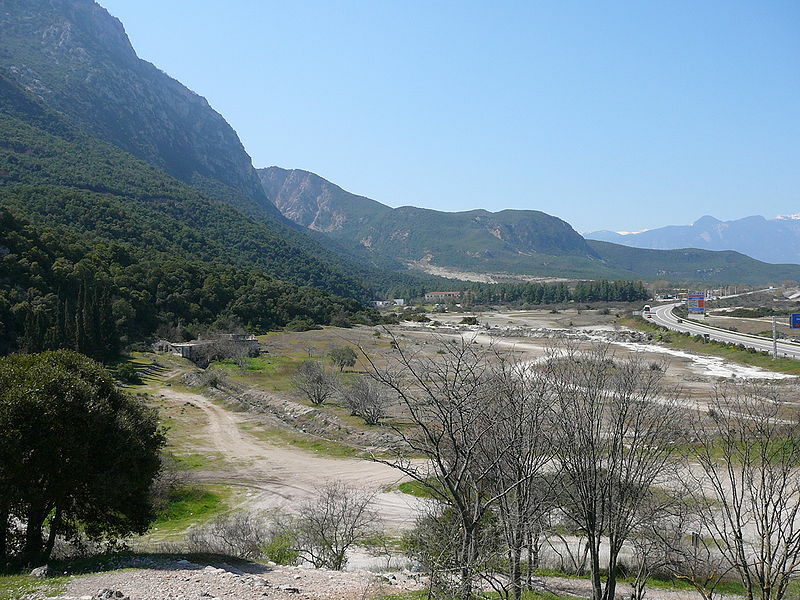 The site of the battle today - the road to the right is built on reclaimed land and approximates the 480 BC shoreline. 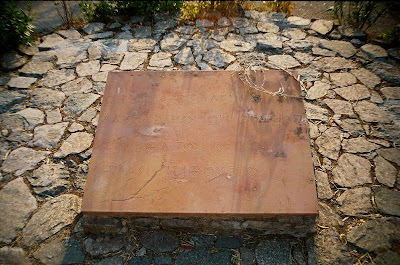 The modern monument at Thermopylae. 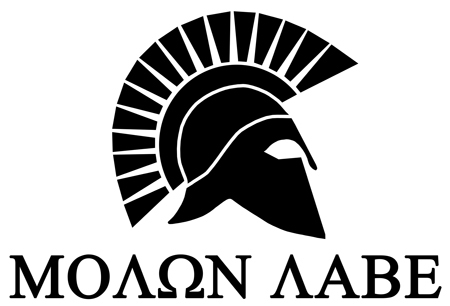 The modern monument bears the words "Molon Labe" (ΜΟΛΩΝ ΛΑΒΕ) meaning "Come and take them" - the defiant words reportedly spoken by King Leonidas in response to Xerxes' demand that the Spartans surrender their weapons. The commemorative stone marking the last stand of the 300 Spartans at Thermopylae. BARACKALYPSE NOW: IT TANKED AS HE TALKED ! HISTORY TEACHES . . .